A science fiction comedy thriller, The Fifth Element is a rollicking if sometimes messy space adventure. A prelude shows friendly advanced aliens arriving in the Egyptian desert in 1914 and spiriting away for safekeeping four stones from a hidden chamber in the pyramids. The stones, protected by a lineage of priests, are needed along with a mysterious fifth element to ward off a force of evil that attacks Earth every 5,000 years. In the year 2263, an unstoppable evil in the form of an indestructible energy-sucking dark massive planet is hurtling towards Earth. The allied aliens attempt to provide assistance but are intercepted by the mercenary Mangalores, working on behalf of evil industrialist Zorg (Gary Oldman). Enough organic matter survives from the destroyed alien ship for scientists to recreate the woman-like Leeloo (Milla Jovovich), an agile warrior and potentially humanity's only chance for survival, if only she can communicate in a decipherable language. Leelo is soon on the run, and stumbles into the flying cab of Korben Dallas (Bruce Willis), a disgruntled ex-special forces member. Korben is eventually tasked with retrieving the stones, which are hidden with an opera singer performing at an elite resort planet. Zorg and the Mangalores are also chasing the stones, while Korben teams up with Leelo (who gradually teaches herself English) and high priest Father Vito Cornelius (Ian Holm) to try and save humanity. 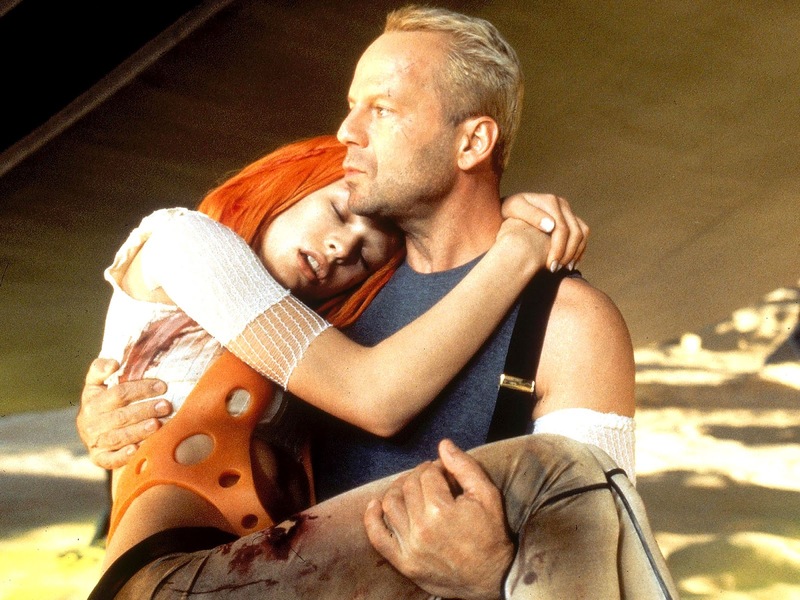 Co-written and directed by Luc Besson, The Fifth Element is an original, highly imaginative and enjoyably campy sci-fi romp. Although the plot often makes little sense and some aspects (including most of Chris Tucker's contribution as a celebrity DJ) offer more noise than quality, the film generates enough loony energy to ride over the bumpier bits. Besson creates a fast-paced fantastical and colourful future filled with flying cars, space travel, floating cities and alien species, but with the same mostly dumb and narcissistic humans in the middle of it all. The comedy and action are well balanced. Korben's sardonic resignation is a perfect fit for Bruce Willis' persona, while the lithe Leeloo emerges as the best thing about the film. Jovovich finds a deft comic touch as the super-smart but communication-challenged humanoid created to save Earth but nevertheless befuddled by all that is going on around her until she finally teams up with Korben. Together they not only make for an effective off-kilter buddy duo but also give The Fifth Element a beating heart amidst all the lunacy. And Besson makes sure to also infuse plenty of action into the latter half of his adventure. When Korben tangles with Mangalores the big guns open up, and The Fifth Element becomes a surprisingly potent action thriller, but with tongue always firmly in cheek. 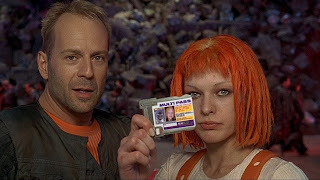 Wild and wacky, The Fifth Element wows.